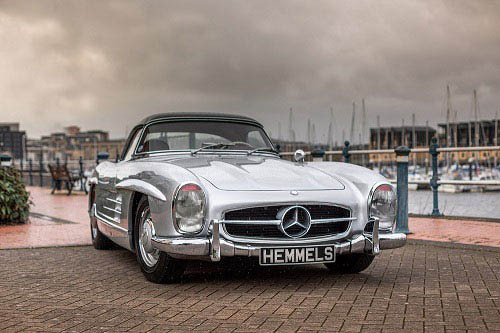 Hemmels is very proud to offer the world’s finest classic Mercedes Benz cars for sale to the discerning connoisseur who seeks the beauty of the original SL models with rock solid reliability. Like ordering a new luxury motorcar, you choose your model, colours and options, then enjoy the journey of having your dream classic Mercedes hand-built to perfection and better-than-new. Our Neugeboren Process demands that each and every component is either rebuilt or replaced, ensuring superb quality for every project we undertake. 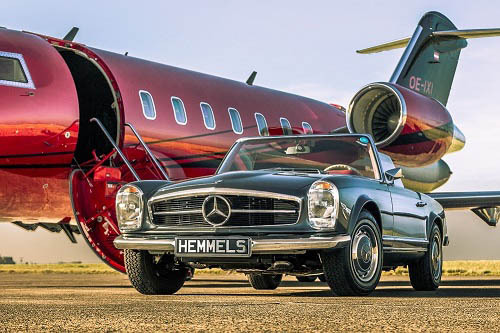 Unlike the typical classic Mercedes Benz cars for sale on classified websites or auctions, each Hemmels restoration comes with a full bumper-to-bumper 1 year warranty. The nimble two-seat Roadster born from the 300SL Series yet with its own distinct character. Voted the car of the 20th Century, available in the iconic Gullwing or versatile Roadster variants. The classic two-seat Pagoda that is perfect for grand touring or day trips. 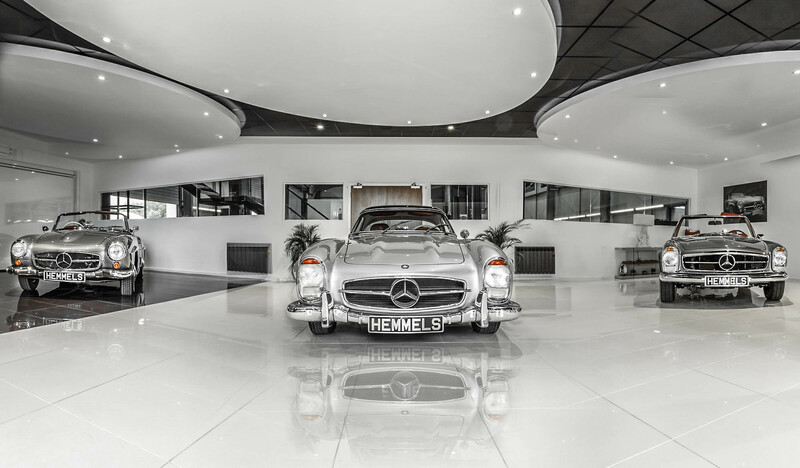 Hemmels features three classic Mercedes-Benz cars for sale including the 300SL Gullwing that started the legend, the 300SL Roadster, 190SL Roadster and 280SL Pagoda. 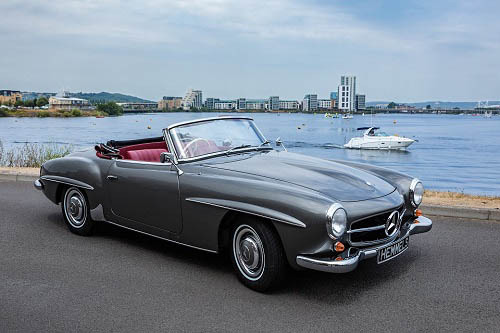 Each of these classic Mercedes-Benz cars are offered for sale with a considerable list of personalisation options including in-car entertainment upgrades, climate control, lacquered under carriage, stainless steel exhaust and more. We invite you to explore the website to view various examples of these legends. 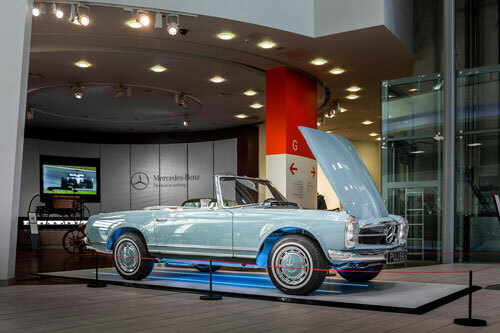 When you’re ready please do get in touch and we’ll be pleased to discuss how to start your journey to commission your classic Mercedes Benz SL. With clients around the globe, shipping to the USA, Australia, or virtually any country is a routine task at Hemmels. We manage all the importing and exporting arrangements. While we'd love you to visit as often as possible, you'll always be up-to-date through weekly photos and videos of your car as it progresses - and of course we're always just a phone call away.